Master HVAC offers residential and commercial services 24/7 and will only send our highly trained and qualified heating and air conditioning technicians. As we all know, the Outer Banks can get pretty warm in the summer and also quite chilly in the winter. So, in order to avoid discomfort, it is important to ensure your heating and air conditioning systems are working properly beforehand. That’s where our Outer Banks HVAC professionals come in. 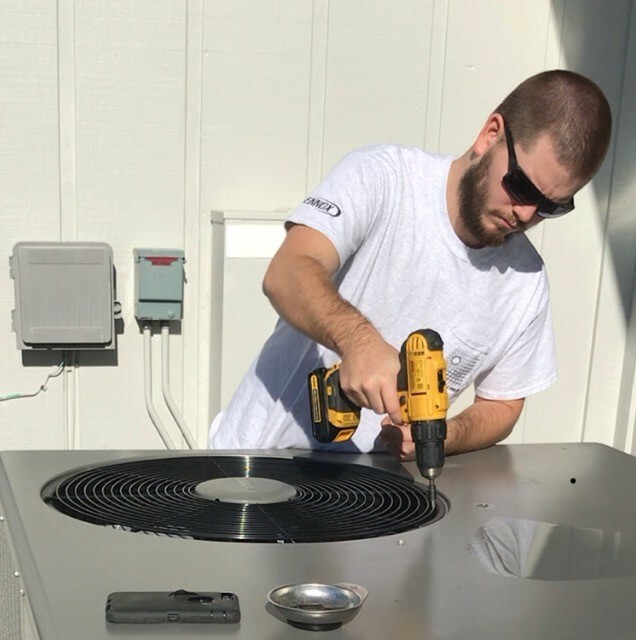 Our crew members have both the knowledge and expertise to ensure that every heating and air conditioning unit, no matter the make or model, is running at peak performance. Plus, when it comes to heating and air conditioning maintenance and repair in homes on the Outer Banks, Master HVAC offers affordable pricing to provide you with everything that you need without breaking the bank. So, whether you find yourself with an inoperable AC unit that needs a complete replacement or you just want an annual tune-up, we are here for you. After all, we have specialized in heating and cooling on the Outer Banks for quite some time, and no problem is too big or small for us. Additionally, we guarantee both our work and our products. So, if for any reason you are unhappy with our HVAC repair service, tell us about it and we will be sure to fix it. Our customer satisfaction comes first and we would love to show you the Master HVAC difference.